Having in the preceding papers attempted a concise description of the mode of culture which I consider it advisable to pursue in this climate, I propose, before I enter upon the various details connected with the vintage, to furnish you with a few papers upon fermentation. I consider a correct comprehension of the theory of this important operation of nature, so indispensable to the successful manufacture of wine, in a country where the practice may from a variety of local causes require to be more or less modified, that I shall without scruple devote considerable space to the purpose. I beg in the first instance, to transmit to you for publication, portions of several chapters, extracted from a very valuable article contained in Dr. Lardner’s Cabinet Cyclopaedia (Vol., 1. Domestic Economy), by Professor Donovan, in which the subject is treated in a manner at once so clear and comprehensive, as to render it familiar to any ordinary understanding. I shall afterwards send you extracts from another portion of the same volume, upon the art of wine making, and to this portion I shall append a variety of information, partly derived from authors of authority, and partly from the remarks which the experience of many years and attentive observation have enabled me to make upon the practice, as applicable to this colony. The ancient philosophers used the term fermentation in a vague and often unintelligible sense. It was intended to convey some mysterious, hypothetical, or latent process, more frequently than to express the exhibition of palpable chemical changes, such as the word is now understood to mean. In the modern acceptatian, the word expresses the changes which vegetable or animal matters spontaneously undergo, and which terminate in the production either of a vinous liquor, an acid liquor, or of a remarkable fetor. Many chemists have considered these three different terminations as constituting three different kinds of fermentation. It is, however, more convenient to understand the whole series of changes, as merely stages of one great process. And to this simple view it will be no objection to urge, that the last stage very often takes place without being preceded by any other; and that all the stages may be brought about separately. For, on the other hand, we have various instances in which they follow each other, not only in succession, but in an unvarying succession; the second following the first, and the third following the second, thus evincing consecutive stages. The following will serve as an illustration both of the process of fermentation and of its stages: but the subject will be resumed hereafter. If some grape juice be left to itself, at the ordinary temperature of summer, it soon begins to suffer remarkable changes: the liquor becomes muddy; an internal motion takes place; the temperature perhaps rises; a bubbling noise is heard, owing to the breaking of minute air bubbles at the surface; and the whole appears not only to boil, but it tends to boil over, its bulk being swollen by the envelopment of so many air bubbles. On account of this resemblance to boiling, the process is called fermentation, from fervere, to boil. Meanwhile a dense froth, composed of these bubbles involved in viscid matter, rises to the surface, and after remaining there some time, it parts with the involved air which floated it, and the viscid matter subsides to the bottom. At length the liquor remains tranquil, and soon after becomes transparent. The viscid matter possesses the property of exciting fermentation in certain other substances not spontaneously disposed to such a change, and hence it is called ferment, but commonly yest or barm. At this period it is found that the grape juice has lost its natural sweetness; the taste becomes strong, stimulating, and aromatic; and it acquires the singular property of intoxicating which it did not before possess. In short, it has become vinous, it is wine: and the whole series of phenomena constitute the vinous fermentation. An ardent or burning tasted spirit may be now extracted from vinous liquor, and the ardent spirit, when very strong, is called by chemists alcohol. After these changes, the fermented liquor being preserved for some time, corked in bottles if weak, or partially exposed to air if strong, and the temperature being maintained at about 75 degrees, a new set of phenomena will take place. Provided the quantity is large, a hissing noise is heard, and the temperature rises perhaps 13 or 15 degrees. A little gas is given out; the liquid exhibits an intestine but inconsiderable motion; floating shreds make their appearance, and at length partly subside and partly collect into a gelatinous cake, which continually thickens. The liquor is now transparent; the vinous flavour and the alcohol have disappeared; and the taste has become extremely sour: in short, the wine is converted into vinegar, called in Latin acetum: and although the obvious symptoms of fermentation are inconsiderable, the process is called the acetous fermentation. If vinegar be kept for a length of time, its surface becomes covered with a green mould which constantly increases, its acidity gradually disappears; its peculiar pungent acid smell gives place to a highly disagreeable odor; and, as this last effect proceeds from the rottenness (putredo) of the vegetable matter present, the whole change is called the putrefactive fermentation. Bodies in a state of complete dryness cannot be made to undergo any kind of fermentation. A certain quantity of moisture must be present in all cases; and where the fermentation concerned is the vinous, the body must be in a state of actual liquidity. A piece of meat containing all its natural juices will, speedily putrefy; but if the water be expelled by drying, or rendered solid by freezing, the meat may he preserved for an almost unlimited period of time. A stiff dough made of flour and water, although containing so little of the latter, will soon turn sour, because it undergoes the acetous fermentation, and vinegar will be formed. Sugar will not ferment in any manner unless it be dissolved in as much water as will make it liquid, and then it is susceptible of the vinous fermentation; but not if the solution contain so little water as to constitute a syrup. In fact, the facility of exciting fermentation is in proportion to the dilution of the liquid. If the dilution be very great, the vinous stage commences, but is speedily followed by the acetous. A certain temperature is necessary to support fermentation of any kind: at 32 degrees the vinous fermentation does not take place; at 50 degrees it is languid; at 60 it is rapid; at 70 degrees too rapid, and there is danger that the acetous stage will set in; at a degree much under boiling, it cannot exist or be excited. Thus a degree much above or much below a medium temperature is equally fatal to the process. Flesh will not putrefy at or near a boiling water heat, nor at the freezing point. Wine and vinous liquids will not acetify at or near either of these degrees. Nor are solutions of sugar capable of undergoing the vinous fermentation, unless at a medium temperature. There are substances called ferments, which possess the power of exciting the different kinds of fermentation in bodies. This is more obviously true in the case of the vinous fermentation: for bodies susceptible of that change do not undergo it, unless the proper ferment be present. Thus a solution of pure sugar in water will not decidedly ferment unless yest be added; nor will the juice of grapes or other fruits ferment, if they be deprived of a substance which they naturally contain analagous to yest. The acetous fermentation also is excited by its proper ferment; but this substance has never been obtained in a separate form. In many instances the vinous and acetous ferments seem to be modifications of the same thing. The matter deposited from vinegar is capable of acting as an acetous ferment; and there is a common practice, founded on this fact, of conducting the acetification of a saccharine solution in a vessel which had already served for making or holding vinegar, The putrefaction of flesh so well known to be promoted by the proximity of flesh already putrid, that it need not be here insisted on; and the fact is not easily explicable, unless we admit the existence of some putrefactive ferment. The question new occurs, What is the nature of the different, ferments which produce these changes? No answer can be given to the question put in this general form, as the researches of chemists have been particularly directed only to that one called yest [yeast]; and this accordingly is the only one the nature of which is at all understood, and our knowledge of it is still extremely imperfect. Yest has been variously represented by different chemists who investigated it. Fabroni considered it identical with gluten. This is a substance contained in wheaten flour, which imparts to it the property of forming a tough paste with water; and which may be separated from the flour by kneading a handful of it under water, until it no longer communicates whiteness to the liquid. What then remains in the hand is a grey, tenacious, tough, elastic mass, stretching out and collapsing again like Indian rubber. The white matter which has mixed with the water soon subsides, it is starch: and of this, along with the gluten, was the original flour composed. This gluten, or some modification of it, is what Fabroni considered to be the true vinous ferment: and he supported his opinion by some striking facts, which have been added to by the researches of Thenard. It was found that solution of sugar, which by itself does not ferment, does so, although feebly, if some gluten be added, and much better if the gluten be dissolved, as by the addition of tartar, without the presence of tartar, the juice of grapes refuses to ferment; and its effect is supposed to depend on its power of holding the natural ferment of the grape in solution. Gluten is not only contained in the different kinds of grain used for making fermented liquors, but also in different kinds of fruits, especially those which readily enter into spontaneous fermentation, as grapes and gooseberries. The juice of these fruits may be deprived of their yest by heating and filtering. What remains on the filter is a tasteless substance, insoluble in water, and decomposable by heat into the same ultimate elements as yest from grain. Grape juice deprived of its yest refused to ferment; but when its yest was restored, the juice fermented freely. Fruit yest added to solution of sugar caused an abundant fermentation; so also did wheat gluten in this solution, or in grape juice deprived of its natural yest. If common yest or barm be allowed to stand for some time undisturbed in a tall vessel, a whitish curdy matter rises to the surface. This matter, if separated, will be found to be very active in exciting fermentation in saccharine liquors; at the same time the yest remaining in the vessel has lost that power. It therefore follows, that this curdy matter is the true ferment: it is found to partake very much of the nature of gluten, and seems to differ very little from the yest of the grapes, or of other fruits. In some respects there are differences between the gluten of wheat flour and that obtained from yest, or from the juice of fruits; one of the most important is, that gluten of grain is much less efficacious in exciting fermentation, than that of fruits. As a spontaneous fermentation takes place in the juice of grapes, gooseberries, apples, and various other fruits, as well as in worts drawn from the nutritive grains, although it is exceedingly feeble, it would be sufficient evidence of the existence in these fruits and grains of the principle which excites fermentation, be its name and nature what they may. And all the facts seem to prove that the gluten of wheat is either identical with, or a near approximation to, the nature of yest. Most probably, the latter is the truth: and, perhaps, ferment is as much a proximate principle of vegetables, as sugar or starch, and extensively diffused throughout nature. Seguin, however, has endeavoured to prove that the true fermenting principle is albumen, which he found to exist in all those vegetables, the juice of which readily runs into decomposition. He even affirmed that animal albumen, as the white of an egg, is capable of exciting fermentation, - a fact which Fabroni had denied. The opinion of Seguin seems to be ill supported. Having thus considered the nature of the ferment, the next point to be determined is the nature of fermentable substances, and whether or not there is any particular kind of matter on which ferments exert their action peculiarly. It had been observed that sugar in solution and other saccharine liquids are the most easily made to undergo the vinous fermentation; that the fermentation so produced is the most active and rapid of all others; and that the most saccharine liquid produces the most alcoholic wine. It was even observed that all the liquids which ferment well are invariably saccharine; and, as the observations were extended, it was an opinion admitted by chemists, that no other than saccharine solutions can be made to undergo the vinous fermentation. This opinion of chemists as to the nature of the proper subject of the vinous fermentation is not contradicted by any known fact. It. appears that sugar, or at least some saccharine matter, as we call the modifications of sugar, is the only substance which supports the process in question; and that where sugar is not palpably present, its elements are, as also some substance which is the instrument by which they are arranged in such a way as to produce sugar. But although sugar thus appears to be the proper subject of the vinous fermentation, we are not to infer that if sugar is present it must necessarily be possible to induce fermentation on it. On the contrary, we are acquainted with one kind of sugar, namely manna, which, when purified from some common sugar which it naturally contains, seems incapable of undergoing fermentation: at least chemists have not succeeded in inducing it; and there may be other kinds of sugar which refuse in the same manner. There is one other condition, essential to a successful fermentation, which naturally flows from those already noticed, and which has been previously adverted to under different heads. This condition is the proportion of all the ingredients concerned in the vinous fermentation. If there be too much sugar compared with the water, the process is impeded in two ways, according as the excess is great or very great. If very great, the liquor is not sufficiently diluted to allow freedom of motion to the acting particles; they are entangled, and their agency is obstructed in the same way as we know other energetic agencies to be by the viscidity. If the excess be not very great, the impediment to the process of fermentation arises from the too abundant formation of alcohol, which, when concentrated, impedes the fermentation of all bodies. The quantity of alcohol formed is proportionate to the quantity of sugar which actually undergoes fermentation; and hence, if there be too much sugar in the act, of fermenting, there will be too much alcohol formed for the continuance of the process, and it must at length cease, the sugar being actually preserved from further change by the abundance of alcohol. Thus, a very great excess of sugar prevents the fermentation from taking place at all, and a more limited excess checks the process before it has been completed. Too little sugar, or what is the same thing, too much water, produces proportionately further change, promotes by means of the acetous fermentation, its transition to a new stage. The ratio of the yest is equally important: if there be too much, and the temperature be high, the vinous fermentation can scarcely be prevented from running into the acetous. If there be too much at a low temperature, the fermentation is languid, and the liquor acquires at sickly taste, which it ever after retains. An effect not very different from this last follows from the use of too little yest at a high temperature. 1. There must be water present, and in such ratio as produces moderate dilution. 2. There must be a moderate temperature; the process does not go on at either the freezing or boiling point of water; at summer heat it is most active. 3. There must be a substance called a ferment present to commence the process; and once commenced, it will go on without the presence of the ferment. 4. Besides the ferment there must be fermentable matter, that is, sugar, or some modification of it; and this is the subject matter on which the change is effected, and which gives rise to the new products. During the vinous fermentation an immense quantity of carbonic acid gas is generated, and escapes by effervescence. Alcohol is at the same time gradually produced, and remains mixed in the liquor. The taste of the liquor becomes less sweet, and when the formation of Alcohol is complete, the sweetness has totally disappeared. In short, the sugar is decomposed; and the only products found resulting from it are carbonic acid and alcohol. Such, then, is the whole of what takes place during the vinous fermentation; for so small a quantity of yest is decomposed in the process that the consideration of it may be wholly neglected. For every hundred parts of sugar that disappear, only one and a-half of yest is decomposed. The water suffers no change. It is now necessary to state some of the conditions under which fermentation may be conducted, and the effects produced by them. The changes which take place during this kind of decomposition are totally independent of the chemical agency of the atmosphere; but they are considerably influenced by its mechanical agency. Fermentation will take place in close vessels, or in vessels which have a free communication with the air. If there is perfect facility of escape for the carbonic acid gas evolved, the fermentation proceeds with freedom; if the vessel is close on all sides, except where the tube enters it, the far end of which is immersed in water, the carbonic acid escapes through this; but there is pressure on the fermenting liquor equal to the depth to which the tube is immersed, and the fermentation is rendered proportionately slow. If the liquor is contained in a perfect close vessel, as in the case of a well-corked bottle, the fermentation still takes place as effectually, at length, as in any other case; but the process is very slow. There is every reason to believe that if the pressure of the atmosphere were removed, or if it were increased, the chemical changes would be accelerated or retarded; and, in short, the mechanical pressure of the atmosphere, or of any gas, acts as an antagonist to the decomposition. When the conditions are such that the fermentation proceeds rapidly, and that there is consequently free egress for the evolved gas, there is a waste of some of the more valuable products, and the resulting liquor is less generous and less alcoholic, and there is evidence that some of the alcohol escapes along with the carbonic acid. It was found by M. Coste, that grapes which had been exposed to the vapours issuing from a fermenting tun of wine, acquired such a taste of alcohol that they resembled grapes preserved in brandy; and it is known to be possible to convert the matter which escapes with the carbonic acid altogether into vinegar. Chaptal effected it by causing water to absorb the gas emitted, and exposing it for a length of time in open vessels. Mr. Collier found, by comparative trials, that close vessels always afford more alcoholic worts than open ones. The best mode of preserving the strength of a fermenting liquor is to conduct the process in a vessel into which the atmosphere cannot enter, yet from which the carbonic acid can freely escape; as through a wide tube, having its other end immersed one or two inches in water: such an arrangement, beside adding to the strength of the wort, lessens the risk of its souring. In some cases, however, access of air must be admitted, at least for a short time, at the commencement of the fermentation. Gay Lussac could not cause grape juice to ferment when the air was completely excluded, although solution of sugar mixed with yest did so easily under the same circumstances. On admitting some oxygen to the grape juice the gas was absorbed; and then a fermentation commenced, which continued independently of further contact of oxygen. By boiling grape juice for a short time, and secluding it from contact of air, it may be preserved without fermenting; but as soon as communication of the air is allowed, oxygen is absorbed, and the liquor ferments. A solution of sugar with yest of beer does not require access of air during any period of the process, Gay Lussac inferred that the yest of beer is different from the yest of grape, which at first requires a little oxygen to commence the fermentation. When yest has been added to a saccharine solution, the fermentation is not observed to commence immediately. But very shortly after, if the temperature be sufficient, very small air bubbles may be perceived forming in the bottom, and these become a little larger as they rise to the surface. But it does not follow from this that the fermentation did not really commence immediately: it would appear more probable that it did, inasmuch as all the conditions were present, at first, as well as at any subsequent period. The truth in all probability is that the formation of carbonic acid gas took place immediately; that as fast as formed it was absorbed by the liquid, and held dissolved; and that no effervescence became visible until the liquid was saturated, which it would soon be, where sugar was also held in solution. As during fermentation, the heavy saccharine matter gives place to the production of so light a fluid as alcohol, the specific gravity of the fermented liquor is continually lessening as the process approaches completion. From being much heavier than water, the liquor becomes sometimes even lighter, and this lightness is made use of as a criterion to judge the completion of the fermentation. In No. 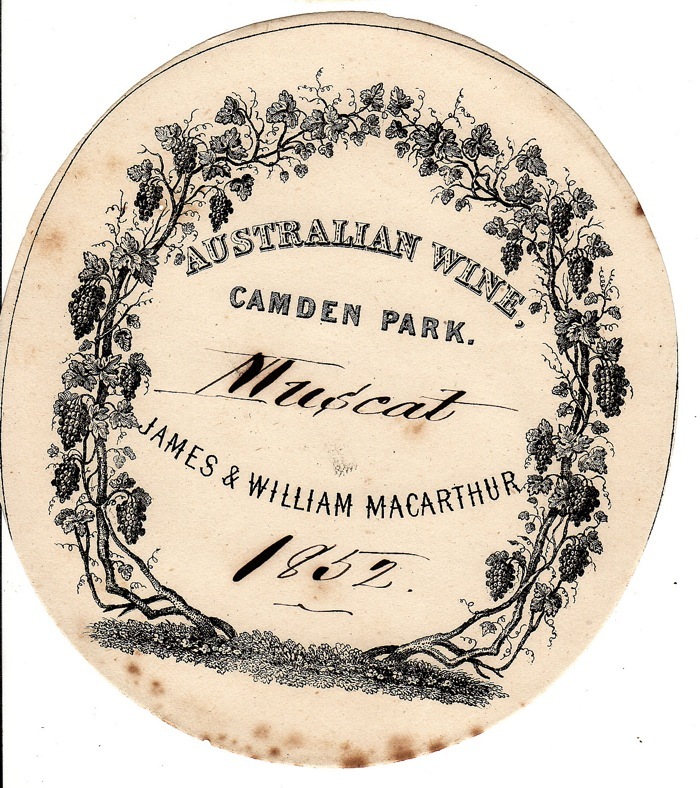 7, of the Series of Papers upon the Vine already published, the subject was followed down to the period when the young vineyard was considered to have attained a state to produce full crops of grapes. The art of converting this produce into good wine, and of managing it to the best advantage, until it acquires its full perfection, forms a distinct and more difficult branch of the subject. In this, and the succeeding papers, I propose to submit to those of your readers who may be desirous of learning how to make and manage their own wine, such information, as, with proper attention, will enable them to effect their object. In the hope of rendering the process more intelligible, I have already sent you copious extracts, on the Theory of Fermentation, from Professor Donovan’s lst Vol. on Domestic Economy; and with the view of still further illustrating this portion of the subject, I propose to complete this paper with additional extracts from the same volume. They are not very long, but contain so much valuable matter, so clearly and concisely expressed, that I earnestly recommend their careful perusal to all those persons who are desirous to acquire information on the art of making wine. The grape is the most perfect of all fruits: its excellence is equally conspicuous, whether we consider its delicious flavour or the numerous uses to which it may be applied in the form of wine, brandy, and vinegar. It depends on no external source for any of the materials necessary to the elaboration of these articles; its supplies are within itself, of the most perfect quality, and in just proportion. Vinification is rightly considered the model from which the brewing of all fermented liquors should be copied. In entering on the subject of wine-making, it is necessary to consider the nature and composition of the grape, the only fruit from which true wine is procurable. Even in so limited an area as that of France, we find that differences of climate may materially affect the quality of the grape, and the wine made from it. The southern provinces afford the best and most spirituous wines; the middle provinces afford worse; and the northern produce the worst of all. The warmer the climate the more sugar is developed during maturation. The following are the chief causes which influence the excellence of grapes:—Their species, the climate, the soil, the aspect, the goodness of the season, and the culture. Unless these causes operate favourably, good wine cannot be obtained from the grape; and not even then, if the process for making the wine be not skillfully conducted. In cold climates, the grape never ripens so as to contain much sugar; in very hot climates its flavour is not delicate. A soil not very rich is more conducive to purity of flavour than one that is highly manured: the latter kind produces quantity of juice, the former quality of taste. The grape consists of the following materials:-Vegetable fibre; a peculiar ferment or yest; sugar in large quantity; potash; lime; three acids - citric, malic, and tartaric; a small quantity of an essential oil, to which the aroma and peculiar flavour of wines is in a great degree attributable; much water; a little mucilage; and, in some species, a red colouring matter said to be of a resinous nature. The relative quantity of these ingredients is influenced materially by a number of circumstances already mentioned. The kind of weather in which grapes are collected greatly affects the value of their juice. It is strongest when the grapes have been gathered in dry weather, and after the morning dew has been dissipated. It is said that adventitious moisture is capable of increasing the quantity of juice a twenty-fourth part. A dry summer is sure to evaporate much of the water from the fruit still on the vine, and, therefore, to add to the sweetness, by increasing the relative quantity of sugar. In dry seasons, the sugar will be abundant, the juice deficient: in wet seasons, the juice will be abundant, and the sugar deficient. Although the grape contains all the requisites for fermentation, as a ferment, a fermentable matter, and water, all in such relative quantities as would ensure a perfect fermentation, it is curious that grapes do not undergo that change while they remain whole. For the active ingredients are contained in separate divisions of the fruit, the sugar being deposited in the cells, and the ferment outside of them. Again, the red colouring matter is contained in the husk, so that a purple grape affords colourless juice. White Champagne, for instance, is made from a grape so deep in colour, as to appear actually black, and sherry is indiscriminately made from coloured and colourless grapes although a white wine. This colouring matter is said to be of a resinous nature; it is insoluble in watery liquids, but soluble in alcoholic. When the husk is allowed to remain in the must during its fermentation, until a sufficient quantity of alcohol has been formed to render the liquor capable of dissolving the resinous colouring matter, the wine produced will be red, although the original juice had been white, or rather colourless. If the husks are not digested in the fermenting liquor, the result will be a white wine. Red and white port are produced from the same grape, the former with and the latter without the husk. If the colouring matter be really resinous, there must be some peculiarity in the resin which prevents its being precipitated by water. Red wine mixed with water retains its transparency. The red colouring matter is of an astringent nature; it communicates the same quality to the wine, as well as a slight roughness. The husk is capable of communicating but a light red colour: when the red is deep, it is the effect of artificial colour imparted; and a deep red colour is never a desirable quality. M. Duportal, however, denies that the red colour of wines depends on the action of alcohol on the husk. The sugar, the most valuable of all the constituents of grapes, is first to be considered. We must not be misled by the ordinary acception of the word sugar, so far as to suppose that whenever it is mentioned it must necessarily mean common sugar, whether hard or soft. There are many modifications of sugar, or, in other words, there are several sweet substances which, by chemists, are considered as species of sugar: or they pass under the equivocal name saccharine matter. The two obvious divisions are the hard and soft kinds. The latter of these cannot be made to crystallise: it remains in the form of a syrup, and is found in various fruits, and especially in the uncrystallisable syrup called molasses or treacle, which remains after all the common sugar has been obtained from the juice of the sugar-cane. Hard sugar is obtainable from various sources, and it differs in its properties, according to the subject from which it has been obtained. Common loaf sugar is an instance of this kind: so also, notwithstanding the name, is what is called soft sugar, for this consists of minute crystalline grains. East Indian soft sugar is much whiter and more pure than West Indian; yet the latter sweetens liquids more intensely, showing clearly that quantity of sweetness is not commensurate with quantity of sugar, or, in other words, that different kinds of sugar may possess different degrees of sweetness. Hard white sugar differs from soft brown sugar only in being freed from the brown syrup or molasses: alcohol will wash brown sugar white. Fig sugar is the crystalline granular substance found on figs: it may be separated by pouring hot alcohol on them, which dissolves the sugar; the alcoholic solution being subjected to spontaneous evaporation, crystals are thus formed. This sugar is different from crystals of common sugar, or candy-sugar as it is called, in the form of its crystals. Manna is a species of sugar; and there are many other kinds, as beet-root and maple sugar; the former of which is manufactured extensively in France, and the latter in the northern and middle states of America, where it is considered nearly equal to that of the sugar-cane. A sweet matter may even be extracted from gentian root, one of the bitterest, and from young nutgalls, one of the most astringent of all substances. Lastly, the sugar of the grape may be obtained in an insulated form; and it differs from common sugar in being much more easily crystallised, in having less sweetening power, and in undergoing the vinous fermentation without any other addition than water. In short, the measure of sugar is not sweetness. Molasses will impress a more intense sweetness on the palate than the purest sugar; and it is known to every one that the coarser the sugar the better it sweetens. Yet hard white sugar will afford much more alcohol than soft sugar or molasses. Hence the quantity of alcohol procurable is the test of the quantity of real sugar in a specimen, and not the sweetness of its taste. From all this we derive an important practical remark, that those grapes which have the sweetest taste are not necessarily the best for affording wine: they may afford less alcohol than a less sweet grape, and, therefore, a less generous wine. It is said that an experienced taste will distinguish the really valuable grape from the merely sweet-tasted one. The tartaric acid and potash, contained in grape juice or must, are of course combined, and they form what is called tartar. This tartar is most abundant in verjuice, that is, juice of unripe grapes; and its quantity is inversely as that of the sugar, throughout the whole period of maturition. It is absolutely essential to a good fermentation, perhaps because it holds the ferment in solution: if it be totally withdrawn, the must will not ferment; but fermentation commences when the tartar is restored. While the must remains as such, the tartar continues in solution. But when the solvent powers of the must are diminished by the evolution of alcohol in it during fermentation, the tartar becomes less soluble, and it is at length deposited in a crystalline mass. Tartrate of lime is also deposited along with the tartar, and adheres to it so obstinately, that even when the tartar is recrystallised, tartrate of lime is found in the cream of tartar. The presence of tartar in the must not only assists fermentation, but adds to the quantity of alcohol. But the malic acid is injurious; and when it exists in great quantity in the grape it is un?t for making good wine. 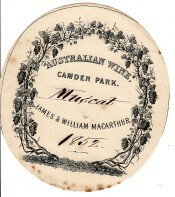 Cider and perry, although agreeable beverages, are not considered to rank as wines, and this is mainly attributable to their containing such an abundance of malic acid. Our domestic fruits all labour under the same defects of containing a great quantity of malic acid, and accordingly they all afford wines vastly inferior to those procured from the grape, in which the acid is chie?y tartaric. Lime is made use of to remove any inordinate quantity of malic acid which the grape may happen to contain. The quantity of alcohol producible from must is proportionate to the quantity of sugar which the must contained. Grapes of a very saccharine nature will afford the most alcoholic or, in other words, generous wine; provided that the whole sugar undergoes decomposition. But a part may escape decomposition through the operation of a variety of causes. The quantity of yest present may be insufficient to produce total decomposition, This sometimes happens with grapes; but it frequently happens with other fruits; and when it does, the wine will contain alcohol and unaltered sugar: their relative quantity being determined by the quantity of yest. The same effects will follow although the original quantity of yest had been sufficient, but was withdrawn by racking off prematurely, leaving the yest in the lees; or by throwing it down by premature ?ning. Or the whole sugar will not be decomposed, should the temperature be reduced very much towards the end of the process; for then the fermentation will cease. This will always happen when the quantity of must under fermentation is so small that it does not maintain its own heat, by the energy of the chemical action going on; such ought to be occasionally invigorated by the addition of warm must to that which is fermenting feebly; or what is much better, the process might be conducted in some apartment kept sufficiently well aired. The consequence, in any of these cases, will be, that the resulting wine will be sweet and less alcoholic. If there be a de?ciency of yest present to decompose the whole sugar, and the quantity of the sugar is considerable, compared with that of the water, there will be a continued formation of alcohol, until its quantity becomes superabundant. The fermentation of a liquid may be extinguished by adding much alcohol to it: hence the abundant formation of it, in a fermenting liquor, will have the same effect. The consequence in this, as in the last case, will be that unaltered sugar will remain, and the wine will be sweet. Suppose the relative quantities of yest, sugar, and water be such as will conduce to a perfect attenuation; then the fermentation will proceed until the whole sugar is converted into alcohol. When this happens, the yest will also be exhausted: there will be little fear that the acetous fermentation will set in; and the wine will be full-bodied, spirituous, and sound, provided that there had not been too much water present. This wine will not be sweet; or, as it is technically expressed, it will be a dry wine. The last case is founded on the supposition that not only the yest is so proportioned to the sugar as to decompose the whole of it, but that the decomposition is suffered to proceed as far as it can. A new case arises out of the possibility of checking the fermentation before all the yest and sugar are exhausted, as may be done by a variety of means already described. If these means be employed, the energy of the fermentation will be greatly diminished; unaltered sugar and yest will remain in a state of little activity, yet continuing their mutual action in a slow and gradual manner. This slow fermentation will go on for a length of time, and if the extrication of the carbonic acid is prevented by confining the wine, as in bottles, that gas will be condensed and retained in the wine. But it will be ready to escape by effervescence whenever the pressure is removed, as by decanting the wine. These are the circumstances under which sparkling or effervescing wines are produced. But it is obvious that no wine can sparkle if its fermentation had been actually completed in the tun. After what has been said, it is scarcely necessary to observe, that if the relative quantity of sugar contained in the must be considerable, and that it is all attenuated, the wine will be spiritous and strong. If the sugar be scanty, so will the alcohol, and the wine will be poor and acescent. When there is a de?ciency of sugar in the grape, or as in this instance it may otherwise be expressed, when there is a redundancy of water, there are several modes of remedying the defect. The first is to boil down the must so as to evaporate the super?uous quantity of water. But no part of it should be boiled down so low as to approach the consistence of an extract, as the yest would then be deprived of its property of exciting fermentation. The second mode is simply to add a due quantity of sugar derived from some other source; and the purest will be the best as least likely to impart any new or undesirable taste. But the best mode is to use an additional quantity of sugar actually derived from the grape. This is done by increasing the ratio of sugar to the water in a quantity of grapes, and then infusing them in the watery must which is intended to be improved. To effect this change in the grapes three processes are employed. The first is to spread out the grapes on straw, and to dry them a little in the sun. The next is to allow the grapes to wither or dry upon the vines; the watery part thus exhales, and the sugar is virtually increased in quantity. The last method is the most ingenious. The stem which holds the cluster is half out through so as to intercept the supply of moisture on its passage to the fruit. The cluster is then allowed to remain hanging, in order that the water may transpire through the husk, and the fruit become half dry; the juice thus becomes greatly enriched. It is indispensably necessary to enrich the juice of some grapes by methods like these; otherwise they will rapidly run into a hasty feeble fermentation, which would again pass quickly into the acetous stage. The result would be a poor, spiritless, acidulous wine. Those wines which have been strengthened by evaporating the must are called vini cotti, or boiled wines; they are not much prized. Sometimes, instead of enriching the must with foreign saccharine matter, a practice which seems injurious is adopted; brandy is added, to form which had been the object of the saccharine additions. Sometimes the wine is altogether made from grapes, the juice of which had been concentrated by being half dried on the vine; of this kind is Tokay. In order to ensure the greatest possible quantity of sugar which grapes are capable of elaborating, they must be allowed to ripen perfectly before they are pulled. After a batch of wine has been ?nished, and it is found to be too weak and watery, its concentration is sometimes effected by congelation, The method is founded on the fact that alcohol does not freeze in cold however intense; but that mixtures of water and alcohol will freeze with facility in proportion as the water is considerable in quantity. It is possible that must may have the contrary fault; it may be too saccharine, and may not contain the portion of water necessary to a free fermentation. If a solution of common sugar be too much concentrated, additions of yest, however considerable, will have very little effect in causing fermentation. The same will happen in grape must, and the remedy is as easy as obvious. Witliout the addition of water in such cases, the resulting wine will be luscious and heavy. This fault in the grape is more likely to occur in dry summers, and when the fruit has been allowed to remain on the tree after the period of maturity. As grape juice spontaneously enters into fermentation with out the addition of yest derived from a foreign source, it is obvious that a yest exists naturally in it. The constitution of this yest was explained in a former division of this volume, in which the theory of fermentation was developed. Hence no arti?cial yest is ever added to wine made from grape juice. When the grape is crushed, and its juice is expressed, the solution of its sugar is brought into contact with its yest, both of which until this period were kept separate. The mixture now therefore begins to ferment, provided that the temperature is suf?cient to maintain the decomposition. Deticiency of yest in must is obviated by husbanding the small quantity which it contains, and subjecting the whole volume of ?uid frequently to its action. This may bc effected by beating down the head of yest which rises to the surface, and frequently mixing it through the must. And when the fermentation goes on in casks, the object will be accomplished by not ?lling up the casks entirely to the hung-holes so as to throw out the yest, but leaving some vacant space for the yest to collect, and frequently shaking up the whole, or rolling the cask. Racking off the wine from the lees should be avoided until the fermentation is complete. A redundancy as well as a de?ciency of natural yest is a fault, but not of so detrimental a kind; for it can be rendered less active by slight boiling. But by this treatment its activity is only suspended, not extinguished: after some time it will recover its efficacy. Too great a quantity of yest is the fault of grapes produced in a cold climate; and wine made from such is apt to run beyond the vinous fermentation, and to pass into the acetous. When this is threatened during vini?cation, some additional sugar may be added, derived from any of the supplies already described, in order that the yest may exhaust itself in forming alcohol rather than vinegar. Or if this mode be not advisable, some solution of isinglass may he added; for this affects the yest of wine as it does that of brewer?s wort; it precipitates it, and thus prevents its doing further mischief. However essential to the perfect fermentation of wines a proper quantity of tartar may be, an excess of it is injurious. In some kinds of grapes this excess is found, and wine made from such is acerb, sour, and rough. The remedy adopted in this case, as well as in the case of an excess of malic acid, is to add some alkaline substance, but not in such quantity as to neutralise the whole of the tartaric acid. Thus by proper management the natural de?ciencies of certain qualities of grapes can be remedied by the wine maker in a variety of ways: and from a very indifferent kind of grape a good wine may be produced. The extracts from Professor Donovan’s excellent chapter on the constitution of the grape, &c., which I sent you in my last letter have, I trust, been perused with attention by those amongst your readers who take interest in the progress of wine making amongst us. These extracts on the theory of fermentation will have prepared them to follow the subject without difficulty, and to comprehend the details I am about to describe, as well as the reasons for adopting them. My observations being addressed to those persons who have never made wine, as well as to those who have already acquired some experience in the process, it is requisite that I should now proceed to describe what utensils and buildings are necessary to conduct it on a small scale, reserving for a subsequent paper, a few suggestions to the latter. In making preparations for the vintage, it is above all things necessary to be well provided with casks, of various capacity, according to the probable extent of the crop. These casks should either be made of new oak staves, and be prepared for use as I shall hereafter describe, or what will be found to answer equally well, consist of seasoned wine or brandy casks, which are known to have contained only wine or brandy of good quality. If any regard be paid to the quality of the wine to be made, on no account should Cape wine casks, or those which have contained rum, gin, or any other spirit but good French brandy, be selected; but casks which have held this last spirit, provided it has been of good quality, are perhaps the most proper of any, and if made staunch, will require no other preparation. If the expected crop be considerable, say 2000 gallons, I would recommend large casks, such as pipes or sherry butts, more than sufficient to contain the entire crop to be provided, besides a few of smaller sizes. For instance, say 24 or 25 butts or pipes - 6 or 8 hogsheads or half-pipes - 6 or 8 quarter casks - 6 or 8 from 4 to 12 gallons. It is difficult to carry on properly the various operations without abundance of casks, and of various sizes, especially if different sorts of wine are to be made. After being thoroughly purified, the casks should be placed to drain with their bung-holes downwards, upon two saplings or pieces of scantling [small pieces of timber] to keep them of the ground until quite dry inside: and then after having two or three square inches of sulphur match burnt in each, in the manner to be hereafter described, they should be bunged up close and kept in the shade until required. During the operation of scalding, it will be prudent to examine each cask by putting the nose to the bung-hole, to ascertain if it have any acid taint, or unpleasant odour. Any defect of this kind the hot water will immediately discover. The acid impregnation of the staves can easily be removed by the use of lime water. To make this, add at the rate of two or three shovel fulls of freshly burnt quick lime per 100 gallons, to any large vessel full of pure cold water; stir it well, and then allow it to settle for an hour or two. It will soon become clear, and when so, it holds in solution all the lime the water is capable of dissolving. Fill the suspected cask with the lime water, and allow it to remain for a day or more. Unless very strongly impregnated with acid it will now have become quite sweet, and will only require to be scalded, &c., as above described. Should any acid taint remain, the lime water must be returned till it be altogether removed. The same lime water, with the occasional addition of a shovel full of fresh lime, will serve for many casks, but it is better, when fresh lime is added, to allow it to settle and become clear before it is used. Lime water when kept, should be preserved in casks tightly bunged up, its alkaline properties being rapidly neutralized by the action of the atmosphere. Casks which have any unpleasant odour which scalding does not remove (besides acidity) should have their heads taken out by the cooper, be thoroughly scraped and fired, and if this operation fails to render them perfectly sweet, they should be rejected as unfit for wine. It should be observed that the best casks are often coated with crystals of tartar; if they are bright and sparkling, they should not be disturbed. Let me in conclusion impress upon the makers of wine the necessity of paying the most. scrupulous attention to the purity and cleanliness of the casks, because the wine will certainly acquire any evil odour or flavour they may contain. The neglect of this precaution has, perhaps, as much as any other circumstance, (one alone excepted,) caused so many failures in making good wine in the colony. About six buckets and two neat light piggins will next have to be provided, all to be made of the best material, and to have a few inches in breadth of the inner margin of the staves bevelled off, to serve as a lip, and prevent waste in pouring. They should also be provided with little rests or feet, made by leaving a portion of three of the staves longer by an inch at the bottom, than the rest. Two or three tubs of the capacity of 8 to 10 gallons, made narrow in proportion to their height, will also be necessary. They are intended to receive the must from the treading-box or press, and as it is to be conveyed in them to the fermenting vats or casks, they should be furnished with two iron handles, so as to be easily lifted and balanced by two men, whilst their contents are being poured into the cask, and have the little rests or feet as described in the last mentioned utensils. One or two very shallow tubs, say 3 inches deep, by 16 or 18 inches wide, will also be found desirable to place under the chime [rim] of every cask whilst its contents are being drawn off to prevent waste. A large oval funnel is the last of the utensils which it will be necessary to procure from the cooper. It should be about 18 or 20 inches long, and about 9 or 10 inches deep, with the delivering pipe to insert in the cask at one end. [See Plate 3, Fig. iii.] This end should have a lid, to prevent the liquid poured from dashing over the top, leaving uncovered space enough merely to pour in by. A tin funnel of the capacity of two or three quarts, will also be found very useful. For crushing the grapes, various methods are practised in wine countries, some of them very defective. The most effectual with which I am acquainted, is to tread them with men’s feet, upon a close grating of wood, placed over or in a vessel, to receive the juice as it passes through the grating. The following description of a treading-box used in the colony, and by means of which 20 pipes of wine may be expressed in a day, may prove useful. It consists of a large box or trough, of Clarence River pine, about 8 feet square, and 18 inches deep, perfectly water tight. In the inside a frame of hard-wood light scantling is so fixed, about six inches from the bottom of the trough, as to support a wooden grating, or gratings rather - for there are six of them, fitting close together, so as to cover the area, each grating being about 4 feet long, by 2 feet 8 inches wide. They consist each of a frame of light wood, put together like that of a venetian blind, and barred across with light wooden bars, about ¾ of an inch thick, by 2 ½ inches deep, placed quite close together on the upper side, but bevelled off underneath, so as to leave wide interstices [‘insertions’ in the original, corrected in Errata] and offer no obstruction to anything which may be forced through from above. [See accompanying sketch of section of the bars of the grating - Plate 3, Fig. iv.] Each of these gratings is provided with two iron rings, countersunk into its frame, (so as not to incommode the feet of the men who tread the grapes,) by means of which any one of them may be lifted by a man from its place, to enable him to clear away the mucilage which gradually accumulates in the bottom of the trough, and impedes the free passage of the must. The sides of the trough are nine or ten inches higher than the gratings, and by a simple contrivance, light boards of similar depth are easily fixed to those of the sides to make them higher; by means of which, about two dray loads of grapes can be placed upon the gratings at one time, and leave room for three men to trample them out. The entire trough or treading-box is supported upon solid blocks of wood, to the height of about 3 feet 6 inches from the floor; and on one side of it a sort of stage or platform is erected, with room sufficient upon it for several casks of grapes to stand. This stage is about 6 or 8 inches higher than the bottom of the trough, so that the contents of the casks can be easily emptied upon the gratings. In crushing the grapes, a layer about three inches thick is spread with a shovel over such part of the gratings as remain unoccupied by the heap of uncrushed fruit. The men then proceed to trample them out with their naked feet, and the juice as it is expressed flows through the gratings into the bottom of the trough. As fast as it accumulates in this, it is drawn off by holes (of which there is one about 1 ¾ inch in diameter on each of three sides, furnished with a lip of tin or leather, with a sort of basket of wire suspended from it, to catch any skins, &c., which may be forced through the gratings,) into tubs of about ten gallons; and in these it is conveyed to the fermenting vats. As the grapes are crushed, their skins are piled up in one corner of the grating, and left to drain until they accumulate sufficiently to take up too much room. With a shovel they are then thrown into the box of an adjoining press, provided with a powerful screw, worked by a wheel and spokes; and when with this power the resistance be comes great, a rope is passed round the spokes of the wheel, to which the additional purchase of a capstan close by is applied. The skins are usually pressed with the screw at the close of each day’s work, and being left under it all night, are perfectly dry by morning. The foregoing description may enable any of your readers to construct a treading-box on the same principle, but, if required, on a smaller scale. To those who have extensive vineyards, I may remark, that were they to construct one even of larger size, say 8 feet 6 inches or 9 feet square, it would enable them to save labour in crushing the grapes to a considerable extent. But such a press, to be conveniently placed, would require a spacious building. No description of press can answer well, at all events, for white wine, which does not provide for the free escape of the must from the vessel in which the grapes are crushed as the operation proceeds, because, as soon as a certain number are broken, the skins, mucilage, and juice, unless the latter be immediately drained off, compose a slippery mass, in which the remaining berries escape being crushed. Simple pressure with a screw or lever, even with great power, will not answer the purpose, for many berries will be found whole in the mass of skins after great force has been applied. Neither do casks or boxes pierced with holes prove to be good, if the holes are large, whole berries pass through or choke them, if small, the flow of the juice is soon impeded by the skins and mucilage. I have never seen any plan so good as that of a close barred grating of some extent. In France it is common to place such a grating over the large fermenting vat, in which the wine is to be made; and if it be red, to shovel into the vat, through a sort of trap, the whole of the skins and mucilage as fast as the workmen proceed with the crushing. To operate on a small scale, it cannot in most cases be very difficult to have a water-tight box, with a false bottom provided, which should consist of a grating as above described, and be strong enough to bear a man’s weight in trampling. If the native hard woods are used, their astringent gum and tannin ought to be extracted by soaking them in water, until the latter ceases to be tinged in colour. I shall hereafter give the plan of a simple machine for crushing grapes upon a very different principle, but which appears from description as if it would succeed well, especially for red wine, but I have never seen one. For the manufacture of Wine on an extensive scale, vats to ferment in will be almost indispensable, but when the quantity is not very large it may be made in casks, with their heads taken out, and set upon end, if the skins are left in; but if left out, the process may be carried on with the cask in its usual position simply with the bung out. The building necessary for the operations of crushing and fermenting depends of course much upon the quantity of wine to be made. If on a small scale, any outhouse will answer which is capable of being well ventilated (but not exposed to have a constant current of air through it,) with a cool aspect, sheltered as much as possible from the direct influence of the sun. It should, however, be perfectly clean, and without any disagreeable smells, especially of animal origin, in its vicinity. In the building chosen, and round the sides of it should be fixed, in a solid manner, logs of wood, squared on their upper and under surfaces, to rest the casks upon, in such manner, that free access may be had to each, to fill it and draw off its contents without necessarily interfering with the others. Each cask, whether on its end with a head out, or on its side with the bung-hole uppermost, should be so placed as to have its lower chime raised about 10 or 12 inches from the ground, and projecting an inch or two over the log it rests upon; so that the rim of the vessel used in drawing off its contents may be placed right under it, and prevent waste. Each should also have a hole of about 1 inch or 1 ¼ inch diameter, pierced about 3 inches from the bottom if on end, and 2 inches from the chime if on its side, and fitted with a proper plug, of oak or other hard-wood. Should the building in which the fermentation is conducted, be too confined to permit the crushing of the grapes to be carried on in it without interfering with the casks, this operation may be performed in the open air, but as near at hand as possible, with a cloth or tarpaulin to throw over in case it should rain. It is very desirable, however, to have the whole conducted under one roof. For containing the wine after it has done fermenting, and has been racked off into casks, a cellar of some description is requisite. In this climate the cooler and more excluded from air it is the better. Where logs of hard wood are abundant, very cheap cellars may be constructed with them. The ground being first excavated not less than three feet deep, to the entire extent of the area of the proposed building, logs of considerable diameter, roughly hewn on two sides, should be laid one upon another, (the largest at the bottom,) like stones in masonry, against the sides of the excavation, and above ground, until the inside height of at least 7 feet is attained. Upon these, a horizontal covering of similar logs should be laid to form the ceiling, and upon them at least a foot thick of earth, to keep out the heat. The whole to be surmounted with such kind of roof as may be thought expedient. Then if the earth of the excavation be laid up as a bank against the sides, to the height of the eaves, a very cool cellar, of considerable capacity, may, it is presumed, be constructed, where timber is abundant, at moderate expense. It need have only one opening, if possible, to the south or east, sufficiently large however, to admit a cask; say nearly five feet. Should such a building be constructed with any considerable span, the logs which form the ceiling will require one or more rows of posts to support them, and in all cases, to prevent the earth from falling through the interstices, a coat of plaster made of loam, mixed with chopped grass or straw, and well tempered, will require to be spread over the logs before the earth is laid on. In a future paper I shall describe a building of more complete kind, with the space for the presses and vats over the cellar. In the mean while, let me impress upon the beginner the necessity, if it can by any means be accomplished, of having a place for carrying on the fermentation distinct from the one in which the wine of the previous vintage is stored, on account of the great heat generated during the process. The wine cellar ought to be kept at a cool and equable temperature, as near 55 or 60 degrees as possible, and excluded as much as may be from the external air. The fermenting cellar on the contrary, should have the means of being perfectly ventilated, and whilst the operations of the vintage are going on, free access to the external air should be given, whenever its temperature will permit, as well to cool down the heat generated by the fermenting wine, as to drive off the noxious gas, which otherwise might become very dangerous. Previous to the commencement of the vintage, it would be well to determine whether the skins are to be fermented in the wine or not, because supposing casks to be used instead of vats, it determines the necessity of taking the heads out or otherwise. If the skins are not to be left in, the casks may be mounted upon their supports in their usual position, with the bung-hole uppermost. If they are to be left in, the casks must be placed on end with the heads out.